The total number of Unix commands is immense. No normal user or system administrator would ever need to know them all. 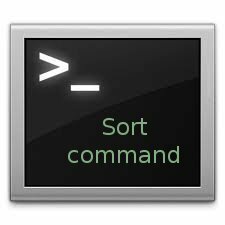 This list of basic Unix commands will get you started using and learning Unix. The basic Unix commands are fairly standard across the various Unix platforms, although command arguments differ at times. In addition, the basic Unix commands vary between Unix shells. Use the Unix `man` command to learn more about any of these commands. Note: Mandatory arguments to long options are mandatory for short options too. To change the name of a directory. Type mv followed by the current name of a directory and the new name of the directory. This renames the filejunkas the fileprecious. print working directory; will show you the full path to the directory you are currently in. This is very handy to use, especially when you need to perform other directory related tasks. 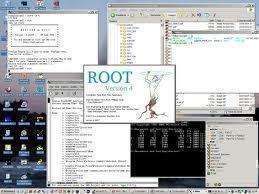 The owner of the ‘test.txt’ file is root, Change to new user hiox. r Change the permission on files that are in the subdirectories of the directory that you are currently in. permission Specifies the rights that are being granted. Given below are the different rights that you can grant in an alphanumeric format. Copy all files from the directory “srcdir” to the directory “destdir” preserving links (-doption), file attributes (-p option), and copy recursively (-r option). With these options, a directory and all it contents can be copied to another directory. Creates a symbolic link to a file. Creates a symbolic link named symlink that points to the file test. Typing “ls -i test symlink” will show the two files are different with different inodes. Typing “ls -l test symlink” will show that symlink points to the file test. A fast database driven file locator. Diplays all the files that have .png file extension. Returns all files with extensions .html, .HTML or any such similar combination. 220 queries in 0.395 seconds.